PIO360 was founded by communications practitioner, researcher and consultant Richard Sheehe on the belief that the best way to train and advise public information officers, organizational leaders, subject matter experts and other communicators is to combine proven, real-world experience with deeper research understandings into how people think, behave and respond to messages in crisis and non-crisis situations alike. So that’s PIO360’s mission: To join time-tested PR strategies with academic and research-driven insights on cognition, stress, pleasure and related factors so communicators can benefit from the same kind of evidence-based practice that has transformed other disciplines — like medicine, education and criminal justice. Whether you’re managing media outreach, your company or agency reputation, an advocacy campaign, legal issues or a full blown crisis, having a well-rounded (i.e. 360-degree) understanding of your communications ecosystem will help you “connect the dots” and find common dynamics across many situations, organizational goals and stakeholder concerns. 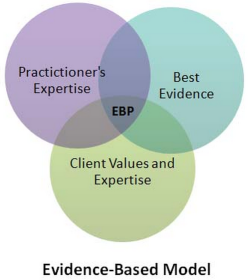 In fact, that’s why we chose Communications Ecosystem in naming our evidence-based framework to understand and master most any engagement format – everything from media interviews and public meetings, to real-time interactions with internal audiences, lawmakers, regulators, peer groups and key influencers. PIO360 teaches real-time skills backed up with organizational messaging support and a deep understanding of stakeholder dynamics and concerns. Our credentials match or exceed any in the business. We leverage national broadcast news experience and proven PR expertise to give you solid strategic counsel and training. This includes customized coaching, role playing scenarios and instant video replay to help you perform your best. Then we augment with nationally-recognized expertise in strategic communications and crisis management, plus domain expertise in fields like public health and public safety, technology and tech policy; government, energy and other key sectors. All this helps ground your communications efforts in solid context with your organization’s circumstances, strategy and goals. 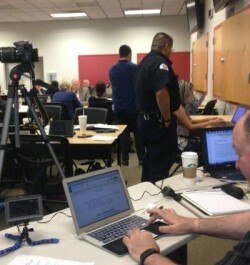 A PIO360 crisis communications media training, featuring a web-based collaboration space for three “teams” to concurrently work the same scenario, and then test skills via mock news conferences and big screen readouts of press updates and social media messages. Richard established PIO360 as the media training and messaging support practice of the Sheehe Group, his consultancy for strategic and editorial services. (click for a list of some PIO360/Sheehe Group clients). 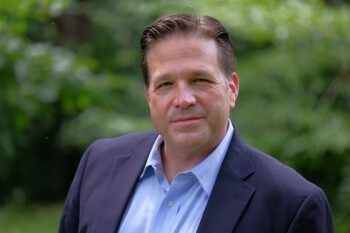 A former public relations executive and NBC national news correspondent with longstanding affiliations with CDC and NIH as a crisis communications trainer, he is currently a Senior Research Fellow in communications at George Mason University and he previously served on the communications faculty at George Washington University. 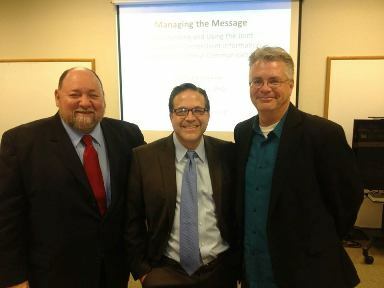 Richard serves as PIO360’s lead strategist and trainer; and he relies on his network of colleagues at GMU and other expert circles to convene interdisciplinary training and consultation teams — specifically chosen and uniquely suited to address custom client needs. The double entendre of PIO360’s subhead is intentional: We’re devoted to teaching you about “messaging well” through skills improvement; and providing a “messaging well” of evidence-backed frameworks and tools you can draw upon for to effectively develop and deploy messages to your diverse stakeholder community.